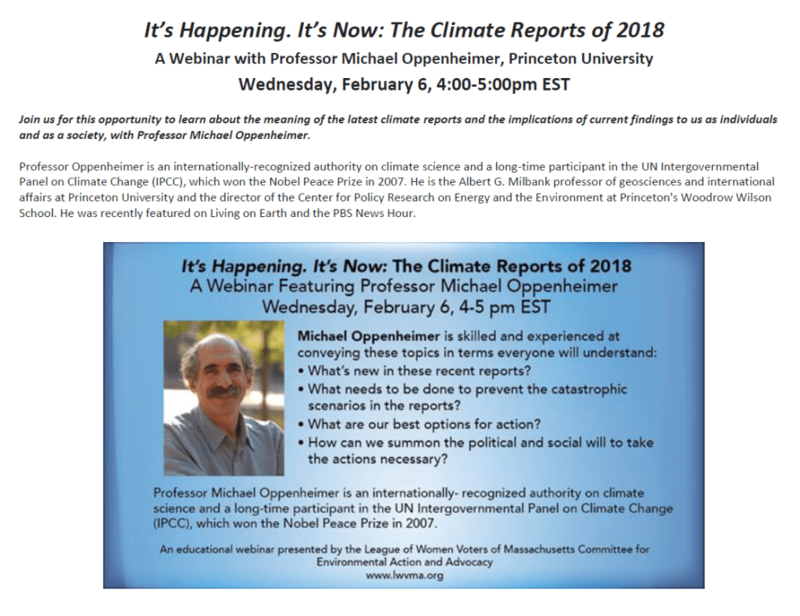 The League of Women Voters of Massachusetts is proud to announce a webinar with Professor Michael Oppenheimer on February 6th, 4:00PM EST. Event details below! To register for the webinar click here.You’ll receive an email from Zoom with registration information after you register. To view and download a flyer, click here.